The Oakridge School: Why Teach at The Oakridge School? Why Teach at The Oakridge School? 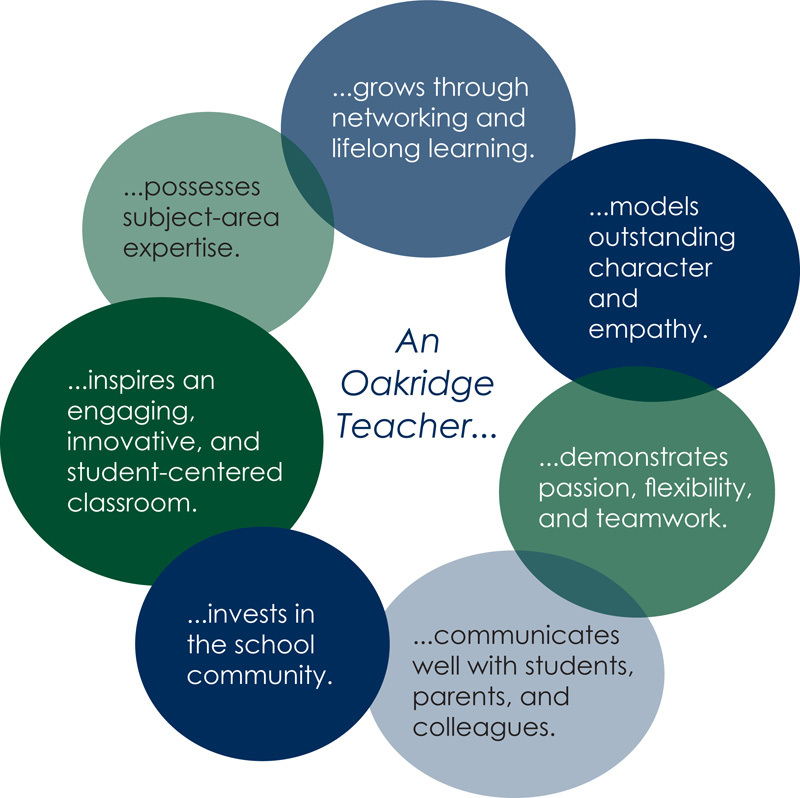 The Portrait of an Oakridge Teacher below articulates the ideal qualities of an educator at The Oakridge School. Our teachers enjoy a collaborative environment with bright students and small classes as well as competitive salary and benefits packages. Candidates for employment can learn more about The Oakridge School by reading the Mission and Philosophy statements and learning about the Oakridge Classroom Environment, all important elements of the school’s culture and identity.